The district’s financial troubles center around its emergency water supply project, which costs approximately $13 million, including state grant funds. But, the grant funds are in limbo, and the district is battling a costly lawsuit over the project. On behalf of the CSD, San Luis Obispo County applied for a $4.3 million grant to offset expenses for building and testing Cambria’s new water treatment plant. The plant was constructed and test-operated for three months earlier this year. 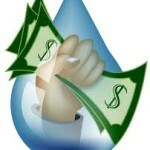 The grant is available to the county and subsequently the CSD through Proposition 84 funds for drought-related projects. But, for the state to release the funds, the Department of Water Resources (DWR) must approve the project. Over the past few weeks, the DWR has raised several concerns about the project. Concerns include the CSD’s water management plan, or lack thereof, and the lawsuit the project has prompted. Last year, environmental group LandWatch of San Luis Obispo County sued the CSD, alleging it breached state law by rushing through the project. LandWatch argued the district violated the California Environmental Quality Act by skipping regulatory steps required to gain approval of the project. If the lawsuit is successful, the district would have to repay the $4.3 million grant to the state. Still, Gruber says the state is willing to release the funds. Gruber said, though, he believes county counsel has recommended the board of supervisors not pass on the funds to the CSD. County Administrator Dan Buckshi said he questions how the district would manage to repay the funds, if it lost the lawsuit. Gruber is requesting that the board of supervisors take the risk and deliver the grant money to the district. The general manager projects the district will have slightly more than $1 million in cash by the end of August and will run out of cash in about three months, if the grant funds are withheld. Additionally, the district will spend nearly $250,000 battling the lawsuit, Gruber said. The district has already spent $160,000 on its legal defense. Even if the plaintiffs prevail in the lawsuit, the Cambria CSD will not have to abandon its emergency water supply project, district spokesman Tom Gray said. In the worst case scenario, the district would have to wait until it receives a regular permit to operate the project, Gray said. The project was approved under an emergency permit. Rob Peter to pay your dealer? CCSD is in a somewhat unique position, in that it gets sued no matter which way it goes on water. Landowners without a place on the water list have filed numerous lawsuits for orders compelling the district to provide them a water source or allow them to find their own water source so that their low value properties suddenly increase in value by a factor of 20. Those who already have their homes and want to keep others from having theirs sue every time the district tries to develop an alternative water source. Of course, trying to keep property owners without water rights from building single family homes on their properties doesn’t go over well as a tactic, so they frame their concerns as environmental. And because it’s Cambria, the haves and the have nots both have money to fund seemingly endless litigation. CCSD has been named in another law suit filed July 13, 2015 in San Luis Superior Court. Litigation is endless. The above arguement is valid only if you find environmental factors of no value. We are stewards of an area that people come from all over the world to experience. They would all tell you that the environmental issue is quite pertinent. People who bought land with the possibility of water being developed in the future are SPECULATORS and are NOT entitled to that water at any cost to both the residents and the environment. Period. Those who bought a place on the water list before the moratorium should be accomodated, but only if and when we develope a sustainable and environmentally sound project, such as off stream storage and reservoirs. If other people want to live in Cambria, let them buy and possibly remodel one of the many properties on the market at this time that have a water meter. There are pleanty to choose from. Any project, water or otherwise that is inserted into this area needs to be compatble with the nature of what is already here. It must NOT disturb or destroy the land and marine life and it must preserve the uniqueness of this place for future generations. Cambrians have been duped by Big Money Interests and developers!!! Who else would accept a $15 million debt with such little guarantees? Goodby Fiscallini Ranch. Cambria needs to remember who put them in this bind and not make it possible for further development. Cambrians have been duped by Big Money Interests and developers!!! Who else would accept a $15 million debt with such little guarantees? Good by Fiscallini Ranch. I have a solution to offset all of the government incompetence. Raise taxes. Works for govt every time it’s tried. The Cambria CSD approved a $40,000 water rate study on Wed., this will raise water rates to cover revenue shortfalls. So, in essence, you’re right, they are poising themselves to raise “taxes”.